Thanks to my lovely friend Joanne, we have been booked in Formby Hall Spa & Golf for a lovely spa treatment morning. The drive to Formby Hall Spa & Golf is alongside the coastal line of Southport. It just happened to be such a bright sunny Saturday morning in the early September. Weather is such a good temperature that you won’t want to complain at all. Always being put off by driving experience, I actually really enjoyed my driving to Formby Hall this time. Even following Sat Nav to a very narrow country road didn’t push me off, the scenery along the coastline gives such inspiring joy mood for me. As soon as I saw the entrance, vision is opened to a graceful looking hotel building with well maintained golf course at the back. Finding the spa place is easy and the staff are helpful and friendly. As usual, filling out spa questionnaire is the first when sitting in a relaxed waits area. Staff offered brew to us as a complimentary of the treatment. Saturday is such a busy day, the waiting cafe was soon filled up with spa customers. My choice of spa treatments are Hot Stone Full Body Massage, simply because my previous experience has given me so much pleasure. Hot Stone used for massage or healing purpose is dated back 2000 years according to Massage Magazine. Ancient Chinese used heated stone to improve internal organs. The Roman bath also includes marble stones as a cooling effect from the hot bath water. The major benefit of hot stone massage is muscle relaxation, pain relief, improved circulation and mental health benefit (according to livestrong.com). 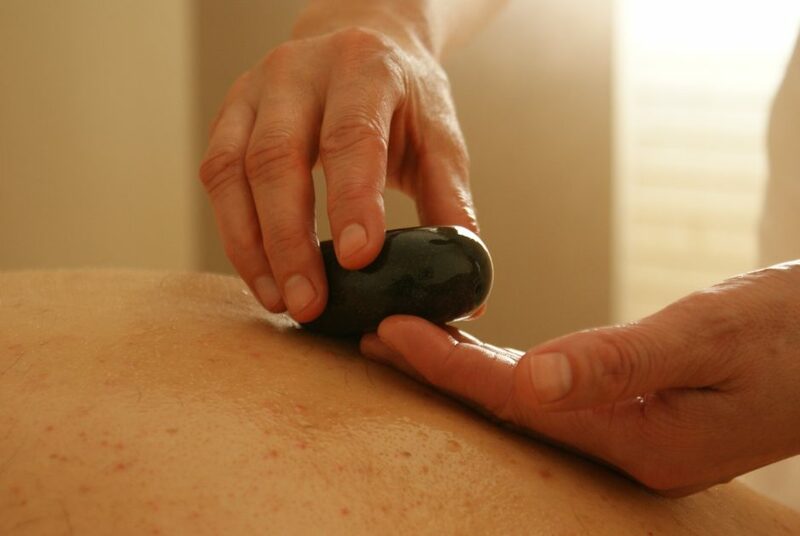 I personally favour hot stone massage is due to muscle pain relief and stress relief. As a regular yoga practicer, I get pulled muscle at times, as well as a stiff shoulder due to long-hour sitting position at the office. I often feel an instant lifted muscle completely free of tension right after the treatment. This time is no exception! Hot stone massage also promotes mental stress relief which helps me forget work and parental duties just simply indulge into the relaxation heaven! My friends had chosen Back and Neck Massage, Facial treatment, and Pedicure treatment etc. Each has got a different pleasure experience. We even had a group pleasure exchange ‘program’ after everyone came out! A good laugh indeed! At Formby Hall, the spa treatments also come with the use of their facilities such as sauna, steam room, jacuzzi and swimming pool etc. Due to other engagements, we have left without trying out those facility. But we had a pleasant lunch at the 19th Hole Bistro which is the nice conclusion of our spa day at Formby Hall.